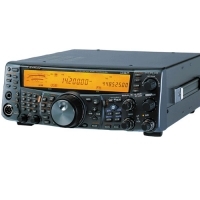 The Kenwood TS-2000 series transceiver offers today's demanding Amateur operator high performance standards without the compromising limitations found in other similar multi-band, multi-mode transeivers. The TS-2000 offers users three distinct operation platforms, the traditional tranceiver with full function front panel, or the high-tech looking "silver box" version that allows mobile operation with the new RC-2000 compact control head, or the ARCP-2000 computer control program making the TS-B2000 functional from your personal computer. 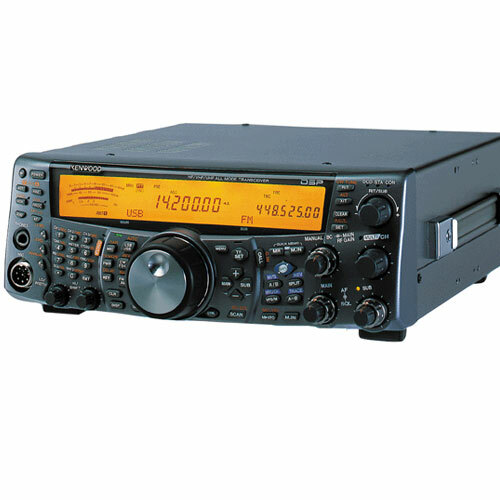 • All-Mode Multi-Band Transceiver - HF/50/144/430 MHz Bands. • DX-Cluster Reception via Built-In TNC. • IF-DSP (Main Band) and AF-DSP (Sub Band). • Satellite Mode with Dual Tracking and CTCSS Tones. • Built-In Computer COM Port . • 300 Memory Channels and Free Downloadable Windows Memory Management Software.